Framingham, MA — SCIEX, a global leader in life science analytical technologies, announced today that EPL Bio Analytical Services, (EPL BAS), an industry leading agriculture-focused analytical contract laboratory, has selected the SCIEX QTRAP® 6500+ with SelexION®+, enabling their researchers to provide analytical solutions to customers with projects involving difficult matrices that the lab could not previously consider accepting. 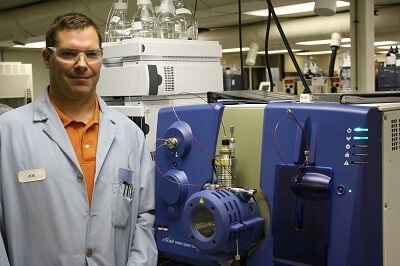 EPL’s analytical laboratory provides customized analytical laboratory testing services to the agricultural crop protection, agricultural chemical, agricultural biotechnology, organic, biocontrol, nutritional, food ingredient, and feed industries and they partner with customers from around the world to provide safe and reliable agricultural products to local and global consumers. EPL’s installation of the SCIEX QTRAP 6500+ LC-MS/MS system with multi-component IonDrive™Technology and a newly designed IonDrive High Energy Detector+, offers them the high sensitivity, reliability and confidence they require to produce data as objective evidence for the efficacy and safety of a wide range agricultural product, including organic products, synthetic chemistry and plant incorporated protectants. The QTRAP 6500+ system delivers enhanced selectivity, without compromising MRM sensitivity, for more flexibility in dealing with complex interferences. The exclusive QTRAP scan function of MS3 (MS/MS/MS), adds an additional level of mass filtering, while the SelexION+ ion mobility provides an orthogonal separation prior to mass separation and offers the lab yet another tool for eliminating isobaric background interferences in complex assays, making quantitation in complex samples easier and less time consuming. The unique scan functions offered by the SCIEX QTRAP system, including enhanced mass scans (EMS), enhanced resolution scans (ER), and enhanced product ion scans (EPI), deliver maximum flexibility and workflow options enabling researchers to embrace new discoveries and more accurate identification that extend beyond quantitation. 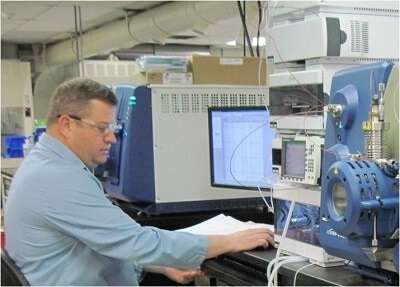 EPL Bio Analytical Services (EPL BAS) is an award-winning, Good Laboratory Practice compliant (GLP), ISO 17025-accredited analytical contract lab. Our vision is to be the “most trusted analytical laboratory in the Ag Industry.” EPL BAS serves the global agricultural industry by analyzing feed and food ingredients, organic products, genetically enhanced crops, bio-pesticides, plants, algae, plant protection agents and crop chemicals. With the goal of providing safe, healthy, and abundant food while protecting and improving the environment, EPL BAS uses advanced innovative technology in the areas of nutritional chemistry, agricultural chemistry, including residue and product chemistry, and molecular biology to provide excellent, timely support for the feed, food, fiber and fuel industries. We don’t have an Ag Division…because we are Ag! Visit us at www.eplbas.com, Facebook, LinkedIn and Twitter.